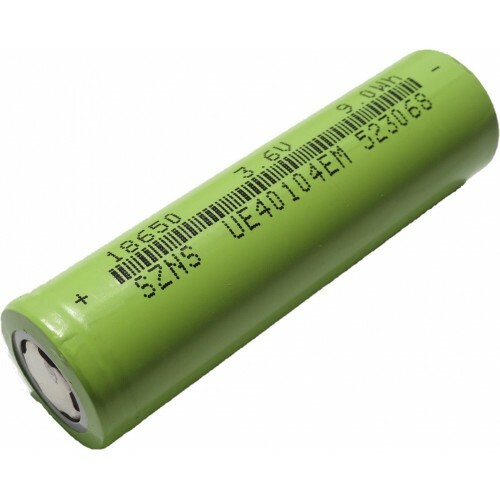 Single cell Li-Ion battery with 2600mAH capacity. High quality battery with guranteed 2600mAH performance. Standard 18650 battery dimensions. This battery is tested in-house for performance, capacity of the battery is guranteed as claimed with a tolerance of 5 to 8 percent depending on discharge current. For discharge current of less than 1A this battery will give you full capacity of around 2550mAh, while for discharge current of more than 1.5A, it will give around 2300 to 2400mAh capacity. Battery Size: Diameter- 18mm x Length- 65mm.